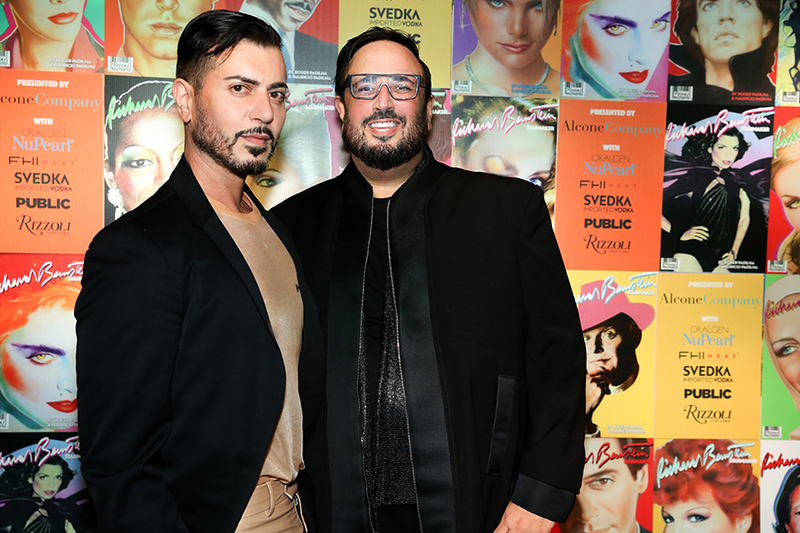 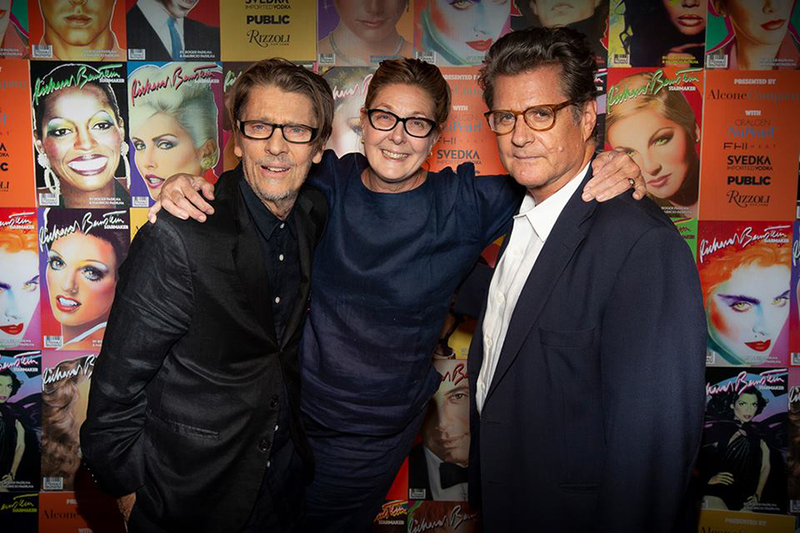 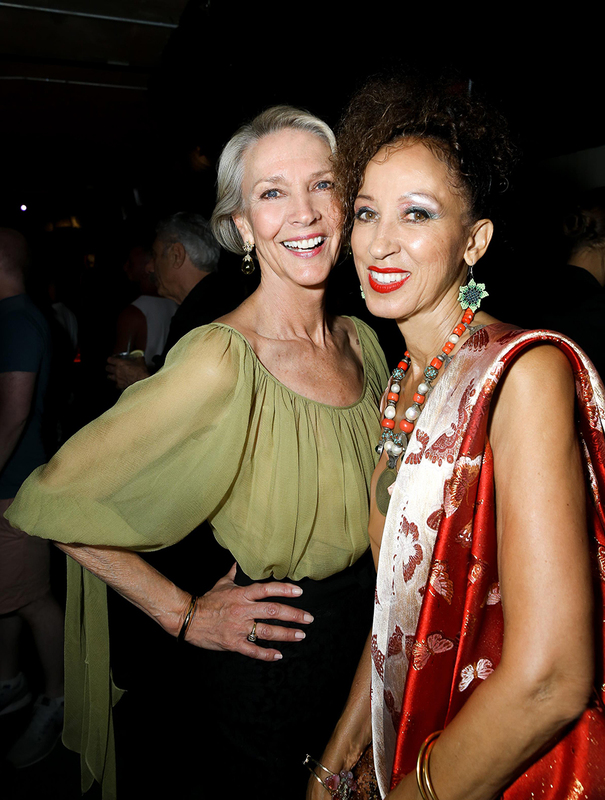 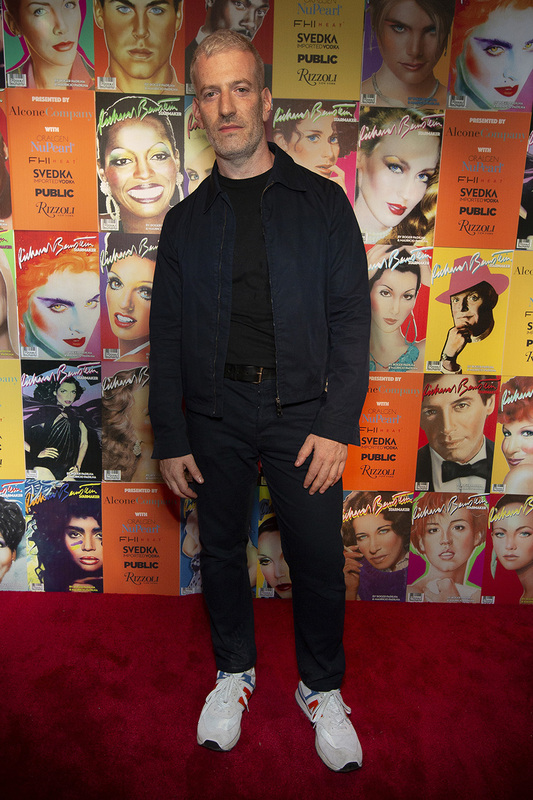 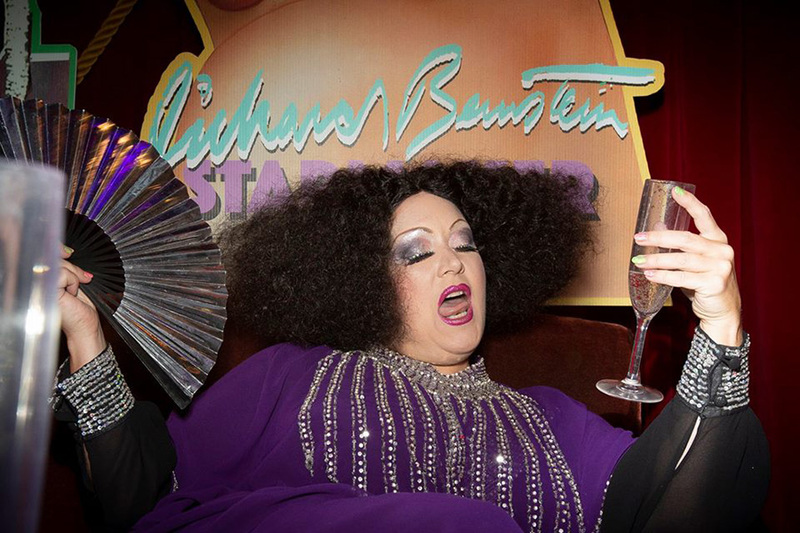 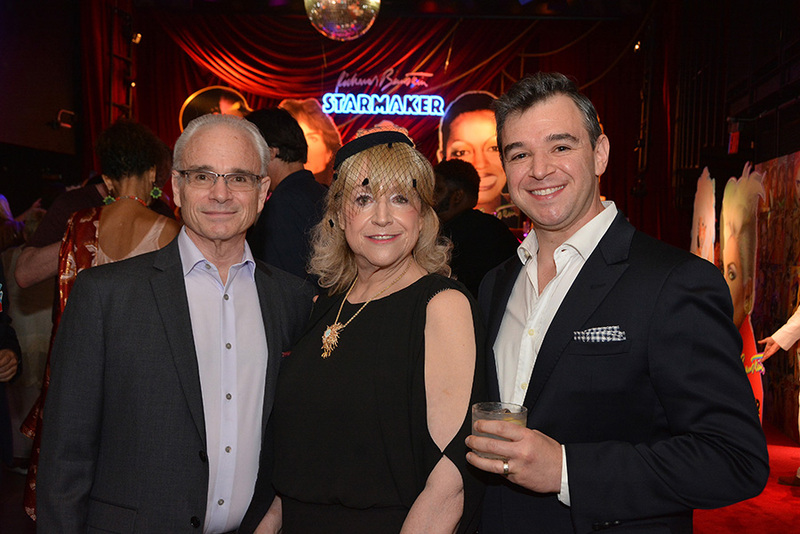 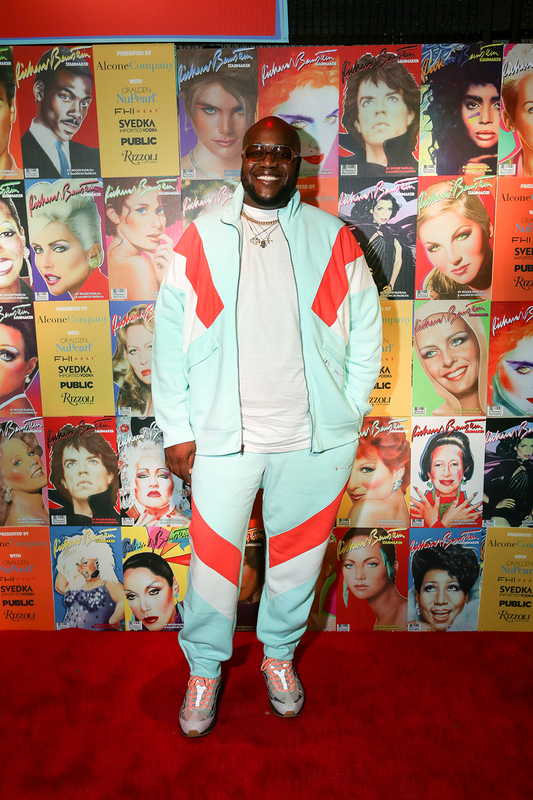 Kicking off New York Fashion Week, the Richard Bernstein: STARMAKER book launch party was celebrated at PUBLIC ARTS at Public in New York City earlier this month. 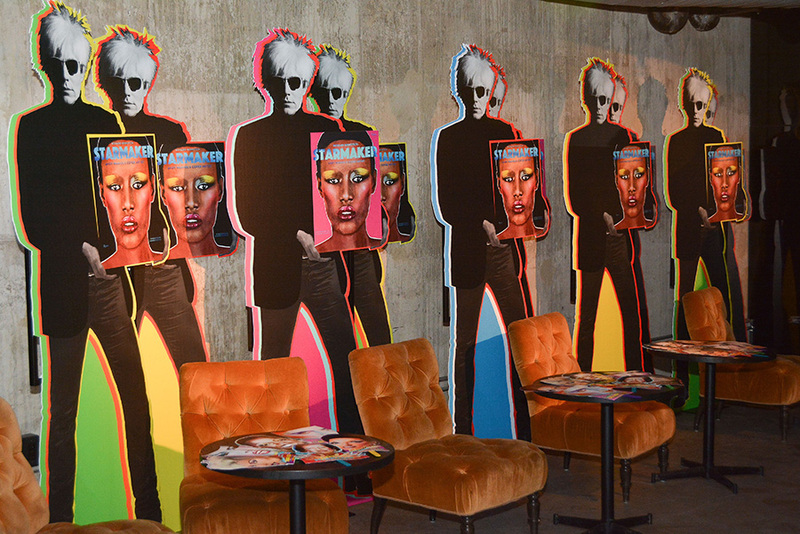 The venue walls were plastered with enlarged artwork of and cut outs of Interview Magazine covers spanning from 1972 to 1989. 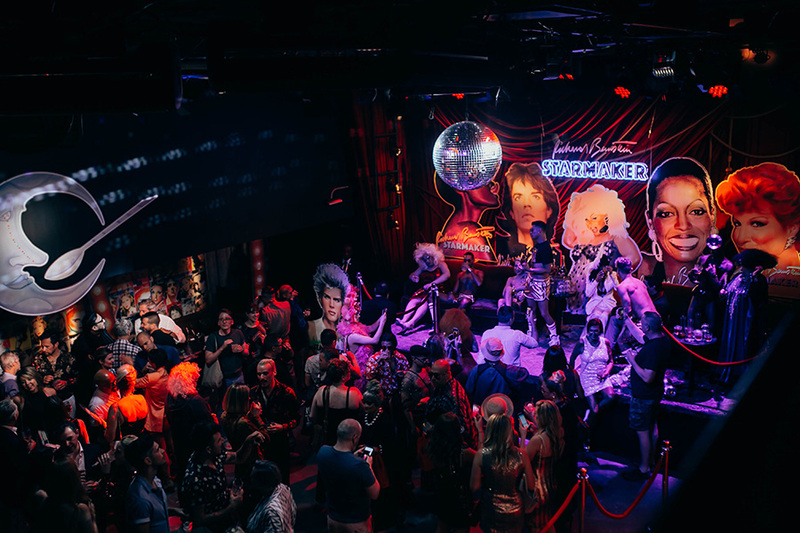 Legendary cover stars came to life on stage in a Studio 54 VIP Room setting while being catered to by a bevy of hunky bus boys. 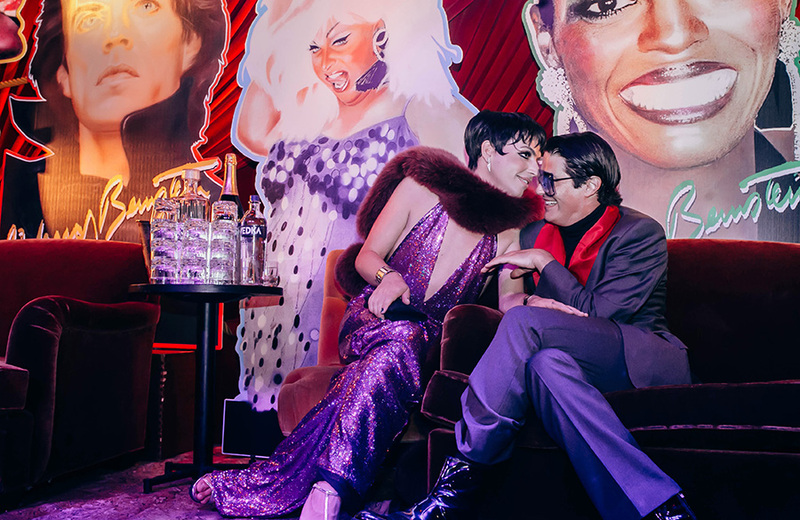 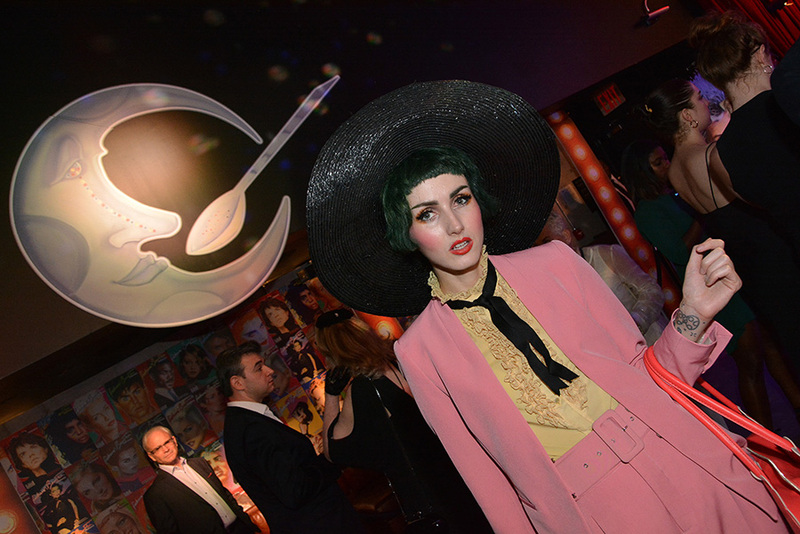 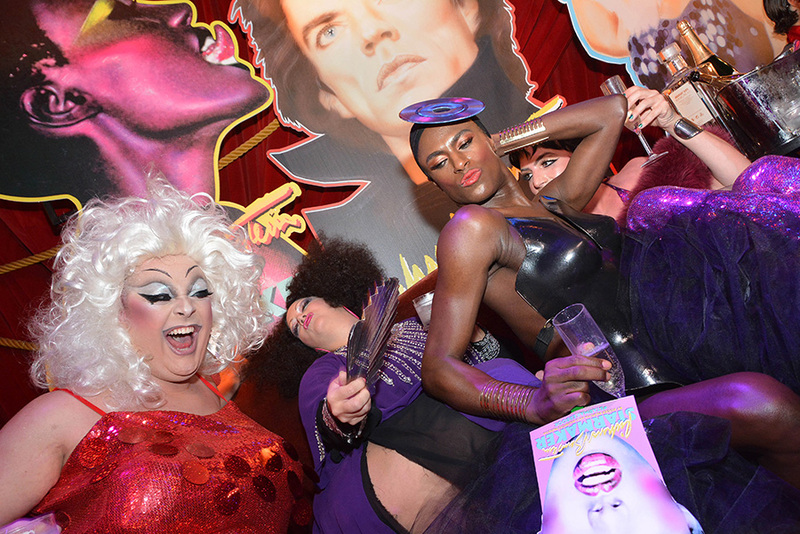 Performers who resembled Divine, Liza Minelli, Halston, Pat Ast, Jerry Hall and Grace Jones danced and partied the night away. 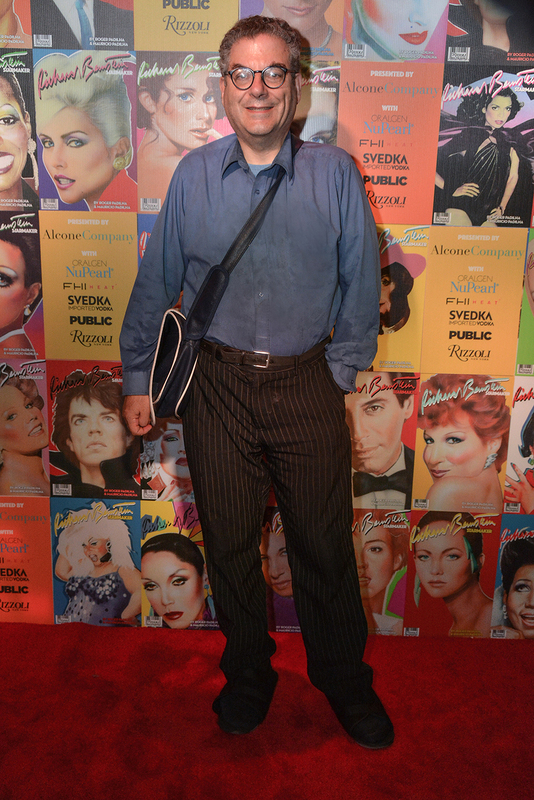 Celebrities in attendance were the creative director of the new Interview Magazine Mel Ottenberg, Pat Cleveland, Halstonette Karen Bjornson, famed Studio 54 publicist Carmen D’Alessio, Gaultier muse Stella Ellis, Angie Everhart, Amanda Lepore, Miss Jay Alexander, Dianne Brill, artist David Croland, Michael Musto, head of Warhol Enterprises Vincent Fremont and Jeffrey Deitch. 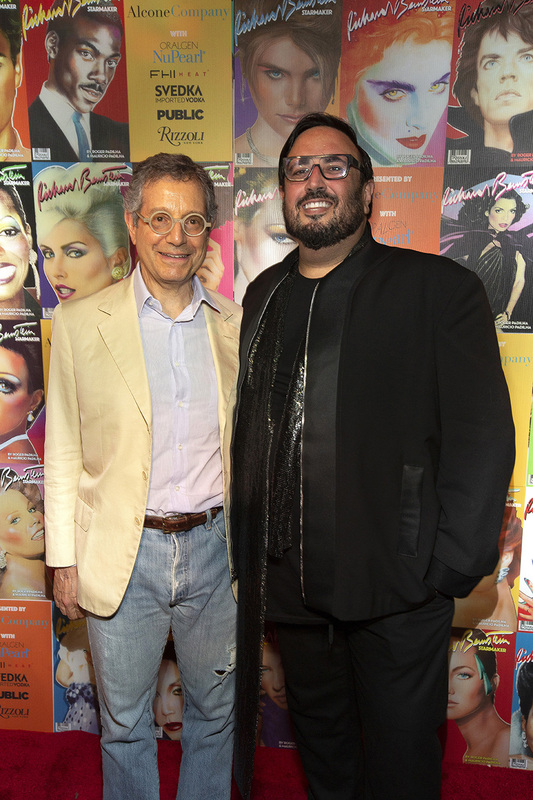 The private event was hosted by authors Mauricio and Roger Padilha whose book Richard Bernstein: STARMAKER Andy Warhol’s Cover Artist is now available in all major bookstores worldwide and is published by Rizzoli International Publications Inc. and presented by Alcone Company with FHI-Heat, Oralgen, Svedka and PUBLIC ARTS at Public.